Away from the tourist sites of the Yucatan coast, Patrick Abboud goes deeper than the ancient Mayan ruins to find out the culture still thrives in Mexican life. Pat meets a local man who has an ancient ruin on his property protected by mythical creatures, and the Mayan family running a nearby ecolodge. 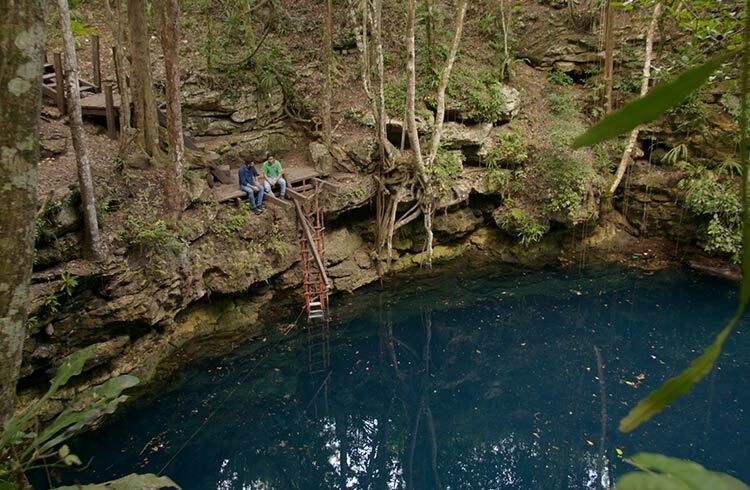 At a local cenote, Pat swims in the clear blue waters of a pool once used by Mayans for human sacrifice, and chats with the men and women keeping ancient Mayan crafts alive through intricate embroidery. He discovers that Mayans believe strongly in a connection between generations.